What is the difference between GPS & GNSS? GPS means Global Positioning System. It’s a satellite based navigation system and was initially developed by the USA for military purpose. Civilian applications have access to some of the GPS signals. Nowadays, other satellite based navigation systems are also available such as the Russian GLONASS, the future European Galileo, and the Chinese Beidu. The technology is now called Global Navigation Satellite System (GNSS). 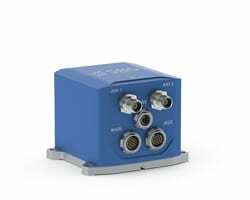 Advantage of GNSS in inertial navigation? 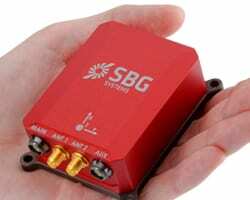 Inertial navigation systems can take advantage of additional constellation to use more satellites and further improve signal robustness in harsh environments such as urban canyons, forests, mountains. DGPS stands for Differential GPS. It is the GPS signal corrected by ground reference stations (which can estimate the ionosphere error on the GPS signal). Traditionally, DGPS accuracy can go down to sub-meter level. 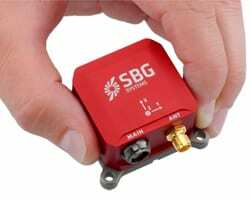 RTK technique allows DGPS accuracy to be at centimeter-level. RTK stands for Real Time Kinematic. RTK algorithms make use of the carrier phase measurement to estimate accurately the distance from the receiver to the satellites. It allows an accuracy of 1-2 cm on position.